Entries tagged with “Johnny Depp”. Comments Off on Ride ‘Em Rango! Let’s get this out of the way upfront: I’m not sure that I’d call the new animated Western Rango a great kids movie, at least not for the under-5 set. I saw the film with my three-and-a-half year old son and I found myself occasionally cringing at its copious gunplay and casual attitude towards death. Rango also lacks the broad slapstick comedy that plays best with younger kids and the character designs noticeably avoid the unthreatening, plush-doll ready cuddliness that most contemporary cartoons employ. Indeed, several of the characters featured here are downright fearsome, most notably Rattlesnake Jake, an enormous serpent with glowing eyes, ultra-sharp fangs and a six-shooter for a rattle. When Jake slithered onscreen, I was certain my son would run screaming from the theater, but he took it in stride and, funnily enough, calls him one of his favorite characters. In fact, I should note that he seemed to really enjoy the movie overall, only growing a little antsy and uncomfortable during a few scenes. He’s also been talking about Rango non-stop since the screening, so it’s entirely possible that I was just being too oversensitive in the moment. Nevertheless, I’d hesitate to recommend the film to other parents of very young children lest those kids come home traumatized and unable to sleep for weeks afterwards due to Rattlesnake Jake-induced nightmares. 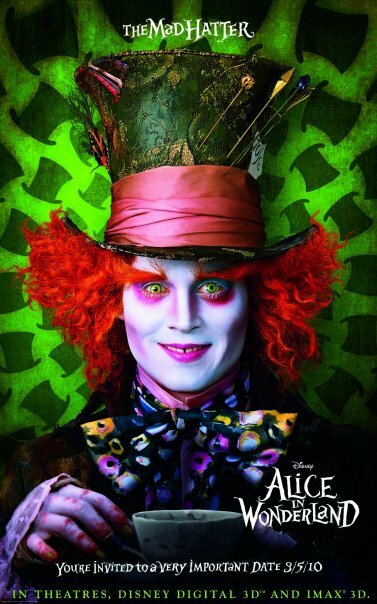 Tim Burton vanishes down his own rabbit hole with his muddled take on Alice in Wonderland. Read my review here. NYC Film Critic is powered by	WordPress 4.2.23 and delivered to you in 0.189 seconds using 34 queries.